Dealing with pests is definitely a very unpleasant experience. This is just why, as a well - respected business you should only seek help from well – respected professionals. At Extermination Montreal Max we have the best trained personnel that can solve all your problems in a timely and affordable manner. Having a great understanding of the different methods involved in exterminating pests, our company is certainly the best choice for you. We pride ourselves in being able to offer our customers efficient and impeccable services. 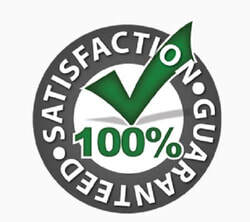 As a result, we are considered to be the most trustworthy and dependable company when it comes to pest control. There are countless methods and types of equipment that can be used in order to exterminate pests. The most important thing is to know which one to use depending on various factors, such as the type of pests you are dealing with, the kind of space they have invaded and so on. This is the main reason why before taking any action our company will first send a team to assess the situation. Exterminateur Montreal MAX has trained professionals will examine the infested areas and decide on a course of action so that the pests are not only temporarily removed but they are also prevented from ever bothering you again. There are certain reasons why pests crawl their way into your facility. Most of the times it has to do with them finding an endless supply of food. It can be anything from leftovers in the office, improperly set garbage or improper storage. In order to make sure that your facility will remain pest free, our experienced professionals will train your employees. They will be taught what to do and what not to do so that the pest problem will not resurface.